Sometimes the differences between the near past and the present can seem more startling than those of more distant periods. What was then state-of-the-art technology includes what now is very obsolete, while the paths not taken, and cultural and social structures, are not those of the present. However, there is enough of the presently familiar to make any differences seem even more anomalous. The UK in the 1950s and 1960s had a different, pre-decimal currency and a much steeper system of taxation - up to 98% of income at the highest rate. Political parties were more defined in terms of ideologies and policies, and both the government and 'the unions' played a greater role in directing the economy than now: large areas of the economy were under a significant degree of state intervention, whether or not they had been formally nationalised. The railway system developed in the United Kingdom from the early nineteenth century, initially for industrial and then commercial purposes, with passengers coming later. There was much speculation and competition, duplication of routes, construction in expectation of usage which did not materialise or, for personal rather than commercial interest, Acts of Parliament for lines that never got beyond the printed page, schemes that ran out of money or went bankrupt, and so on. There were also a number of closures for various reasons - including better or preferred routes, amalgamations, economic failures, fraud, and changing patterns of industry and population, leading to the 'Grouping' of the 1920s. The same processes were to occur in other countries, often for similar reasons. In the inter-war period, with ex-soldiers trained to drive and large quantities of decommissioned military vehicles available, there was a shift to road haulage, and also in passenger vehicle usage, whether private cars or charabancs, leading to decreasing railway usage. Much damage to the rail network occurred during the Second World War, which was followed by post-war nationalisation. There was an urgent need for investment and restructuring in the railway system: largely due to lack of money the decision was made to retain steam locomotives, rather than diesel or electric, as coal was relatively cheap. Other countries which had suffered wartime damage were to undertake similar redevelopments - and in various cases were to benefit from moneys supplied under the Marshall Plan, unlike the UK. There was a shift to road transport in the 1950s. Car ownership was increasing, while the sale of decommissioned military vehicles led to the development of road haulage companies, which in this period became deregulated. It was argued at the time that road transport meant that goods could be taken door-to-door rather than having to factor in a change of transport method from road to rail and back - which involved an expensive and time-consuming method of wagons being moved between various goods yards. 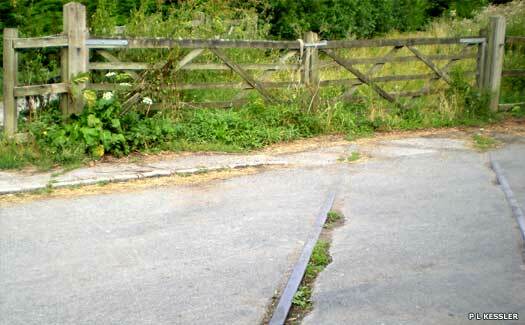 Walking former railway lines to explore and describe their remnants. Goods transport involved small wagons and pick-up trade - which involved much time and also delays to following trains. Passenger rail travel was seen as uncomfortable - not least because people often used it mainly for holiday travel on summer Saturdays, and the system could not cope with the throughput. Many of the lines were under-utilised for the rest of the year. Much passenger traffic switched to coach travel - which was more flexible, and less subject to the delays encountered on the rail network. While a modernisation plan was introduced in 1955, it had only a limited impact. There was also a major rail strike in 1956, which resulted in the further transfer of goods to road traffic, initially for the duration of the strike but this became permanent. There were a number of rail and station closures during the 1950s, including major lines: by the beginning of the 1960s the rail network had reduced by a significant percentage from its Victorian peak. With changes in fuel prices - coal became relatively more expensive, and diesel cheaper - the decision was made to change the motive power, despite the initial unreliability of some diesel engines (at the time electrification was seen as being too expensive). There was little consideration at the time of several issues which would now be seen as significant, such as pollution, social aspects, and the impact of changing population (not just to new towns), and industry (the transition from manufacturing and heavy industry to tertiary and service industries being already underway). It was agreed that something had to be done with the rail transport network because it was economically unsustainable. As with other such drastic infrastructure reforms, there was a great divergence of opinion on what was required, and the means and methods of achieving a viable system. The impact could not be fully determined at the outset - and neither could some of the changes in population and industry that were taking place or which were likely to arise. Some of the arguments proposed at the time are now less obvious in their justification than they seem to have been then. A major limitation in rationalisation was that only the network as such was considered, rather than other aspects which could have had a significant impact on costs - such as the level of staffing (one of the major costs) and the changing use of technology. 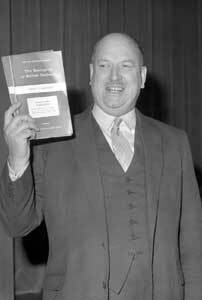 The Stedeford Commission - of which Dr Beeching, recruited from ICI, was a member - met from mid-1960, and looked into various transport issues. The report that was issued was not published, which was a cause of complaint at the time. Two new bodies were set up shortly thereafter to replace the Stedford Commission - the Hall Commission to deal with roads, and the Beeching Commission to deal with the rail network. Both were to some extent basing their proposals on the continued availability of the other mode of transport, rather than working in tandem. The decision to appoint a senior figure from the private sector, rather than from within the public sector, to head the rail inquiry was then seen as controversial. So too was Dr Beeching's salary - being that which he had earned in his managerial post, £24,000 per annum, when both his immediate predecessor and the prime minister earned much less - £10,000 per annum. Given the fuss and furore that the media made of the early twenty-first century's parliamentary expenses row, it can only be imagined what kind of field day they would have had with Ernest Marples in today's lynch-mob mentality press. It was pointed out that he was far from being at the highest levels of management and pay, and the impact of the taxation system meant that the differential in take-home pay was less than £2,000. It was also stated that it was no longer possible to rely on the goodwill of persons from the private sector to serve the country at a lower salary than they could otherwise obtain, and that the public sector might well have to increase its salaries. Dr Beeching initiated a thorough analysis, including surveys and cost analysis, of the rail system. Rather surprisingly this was the first time this had been undertaken in the railways' history. The initial report was published in 1963 and it caused much controversy. It proposed a wide range of cuts - although a number were included which were already happening - and the removal of many 'duplicate' routes. Dr Beeching personally was in favour of a drastic reduction in the extent of the rail system, down to what were seen as the economically viable main intercity routes, a simplification of the network, and a transformation of goods services. Even without the impact of the rail strikes, the economic advantages of road transport throughout the journey, rather than having effectively to break the journey twice at now distant rail depots were seen at the time. This is still a major problem today on many lines. A few, such as the Great Western routes to Bristol and Somerset, offer alternatives during maintenance or accidents but others, such as large sections of the East Coast Mainline simply lock up entirely whenever a major problem occurs. 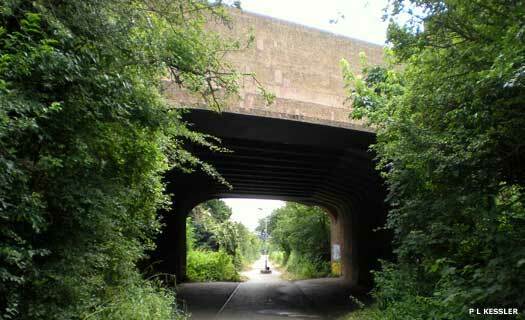 There was a certain acknowledgement from various sides that Dr Beeching was constrained by his remit and by other factors beyond his control, as well as the necessity for some reforms. A range of arguments were raised against the closures. Some were practical, including the limited base of evidence, and that social aspects (including the holiday traffic, or severe winter weather as happened in 1962-1963, when rail was the only means of access to some isolated areas) or future developments were not considered sufficiently. (It has also been subsequently noted that there was insufficient computer and other analytical means to provide a proper analysis of journeys taken.) Other arguments used involved a degree of sentiment or appear less plausible with hindsight. Dr Beeching introduced various reforms of a positive nature, apart from the analyses. He initiated the freightliner system - which is now part of the container system of transport (standardised containers were just coming into use at the time, after a period of development since the early 1930s). What was known as the Intercity service (until privatisation) proved to be a great success. There was also the so-called merry-go-round system for coal transport, allowing the loading and unloading of wagons while in motion. There was pressure to open up the yards to private usage, despite somewhat understandable objections and resistance by the rail unions. It was argued at the time that if such access were not allowed there would be further shifts from rail usage, with consequent further negative impact on the railway staff. The removal of many small stations and the pick-up freight services meant that remaining services could be speeded up. Even with the tendency to closure there was much negotiation over many routes and stations, involving a range of interested parties and various government departments. A number of reprieves were allowed on various grounds - including limited alternative access to transport, and practicality for the network (eg. the North London Line - now an essential part of the London Overground system), along with marginal constituencies. In some cases there were viable alternative transport links - as with the stations in Uxbridge. A number of replacement bus routes were established, although several of them closed, sometimes fairly soon after introduction. In other cases these were not set up despite promises. In many cases the lines were terminated abruptly, with the subsequent rapid removal of the tracks whatever the opinions of the local population and industry. Various suggestions were made as to what should be done with the redundant lines - including the establishment of rail-buses, the retention of the actual track in case of future need, and the conversion of lines to roads. The latter did occur in a number of cases, but was probably not practical in others - apart from low levels of transport usage being an issue behind closure, the effects of vehicle breakdown in narrow cuttings or viaducts (and possibly acrophobia in the latter case) spring to mind. 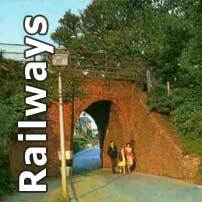 A second report (sometimes known as 'Beeching 2') was issued in February 1965. It concerned future planning, and the routes which should be given priority for development - though some perceived it as the basis for further cuts. Harold Wilson had stated before the 1964 general election that he would reverse the cuts, but the new Labour government was to continue with them because the reasons for reform were still present. There was also a certain conflict of interest among the road and rail unions which were supporting the party. Dr Beeching returned to the private sector ahead of schedule, in part due to differences of policy with the minister of transport in the new Labour government. 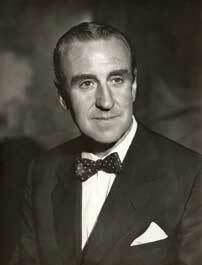 The salary of his successor in the railway role was £12,500 - the same as for chairmen of other comparable boards. One of Beeching's last acts was a corporate re-branding, which long remained largely intact. He was to continue in various management posts and was eventually made a life peer. The subsequent career of Ernest Marples was to be somewhat more negative, ending with him fleeing the country to avoid paying tax. Attitudes towards the closures changed, and not just because some of the savings were minimal. There was a growing interest in the social aspects and other effects of the cuts - including increasing road congestion - and other components of the transport network were not developed as originally planned - which had a significant impact on communities and industry. Changes in population distribution and types of industrial activity continued, making some of the bases for the report invalid. Oil crises and other economic aspects came into play, and the political vision changed. Eventually closures that were directly related to the report ceased. The situation since the Beeching era has been one of varying fortunes. Some further stations and routes have since closed, because of low usage or actual alternatives being provided. In other areas there has been a certain expansion of the network, and the restoration of closed services and stations, sometimes in new forms - the Docklands Light Railway, the London Overground system, the Eurostar, and HS1 are examples. 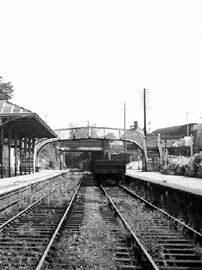 There has also been an expansion of heritage railways and railway preservation societies, starting with the Bluebell Line, the opening of which had been attended by Dr Beeching. The Intercity and container systems have worked effectively in their various guises, and there has been intermittent modernisation of the routes. The most interesting question is perhaps what else could have been done, given the resources and methods of analysis then available, the urgent need to minimise losses, and that many routes were non-viable and non-revivable. Some factors could have been taken into consideration - traffic throughput analysed on a number of occasions, and an emphasis on an integrated, or at least a more coordinated policy across the various forms of transport, rather than encouraging them to compete. The longer term possibilities should have been considered - some routes and rights of way might have been effectively mothballed to allow for potential re-commissioning should circumstances change (the branch line to Portishead, for instance), rather the frequent near immediate taking-up of track and decommissioning of land that occurred. It should, however, be considered that hindsight does tend to see the flaws in a particular policy and suggest what should have been done, when at the time other options may well have seemed more rational. Text copyright © Jackie Speel. An original feature for the History Files.